Did you know that apart from the ClusterControl web UI, you can also use a command line interface to manage your PostgreSQL instances? ClusterControl supports PostgreSQL streaming replication (both asynchronous and synchronous replication) as well as standalone PostgreSQL instance. We have put our best effort to make the command line interface to be close to the UI in terms of functionality available. Why would you want to use the CLI? It allows you to deploy an entire replication setup in one command, or perform a failover, or add new nodes to the setup. This integrates very well with your existing infrastructure automation code written in Ansible, Chef or Puppet. This blog post provides a walkthrough on how to manage a PostgreSQL streaming replication cluster using ClusterControl CLI, or s9s. Take note that most of the functionalities shown in this blog post requires you to have ClusterControl installed and running with a valid subscription, either commercial license or free trial license (valid up to 30-day after ClusterControl installation). $ ssh 192.168.0.91 "ls /root"
We specified the first node, 192.168.0.91 as the master and the rest are slaves. Since we already configured passwordless SSH via root user, we specified the OS user as "root" together with the corresponding SSH key file using --os-key-file flag. The --wait flag means the job will wait and report the progress until the it finishes. ClusterControl will then connect to the specified nodes, discover the topology and register the cluster into ClusterControl. You can verify with 's9s cluster --stat' command as shown above. This is an RPC V2 job (a job created through RPC V2). The job owner is 'admin'. Setting cluster to 'SHUTTING_DOWN' state. 192.168.0.91:5432: Waiting PostgreSQL top stop. 192.168.0.92:5432: Waiting PostgreSQL top stop. 192.168.0.93:5432: Waiting PostgreSQL top stop. Setting cluster to 'STOPPED' state. 192.168.0.92:5432: The postgresql service was started. Take note that those actions will not reboot the system. Removing node 192.168.0.93: checking job parameters. Found a master candidate: 192.168.0.91:5432, adding 192.168.0.93:5432 as a slave. 192.168.0.93:5432: Using the master's data directory '/var/lib/pgsql/11/data'. 192.168.0.91: Checking size of '/var/lib/pgsql/11/data'. 192.168.0.91: /var/lib/pgsql/11/data size is 103.00 MiB. 192.168.0.93: Checking free space in '/var/lib/pgsql/11/data'. 192.168.0.93: /var/lib/pgsql/11/data has 34.19 GiB free space. 192.168.0.93:5432: Setting SELinux in permissive mode. 192.168.0.93:5432: Setting vm.swappiness = 1. 192.168.0.93: Finished with helper packages. 192.168.0.93:5432: Setting up PostgreSQL repositories. 192.168.0.93:5432: Uninstalling old PostgreSQL packages. 192.168.0.93:5432: Installing PostgreSQL 11 packages (centos-7). 192.168.0.93:5432: PostgreSQL installed, init-name: postgresql-11. 192.168.0.93: Updating PostgreSQL port (5432) and directory. 192.168.0.93:5432: Granting remote access to PostgreSQL server. 192.168.0.93:5432: Testing connection (attempt #1). 192.168.0.91:5432: Using the pg_hba.conf contents for the slave. 192.168.0.93:5432: GRANT new node on members to do pg_basebackup. 192.168.0.93:5432: Doing initial sync (pg_basebackup) from 192.168.0.91:5432. 192.168.0.93:5432: Synchronizing pg_hba.conf from master. 192.168.0.93:5432: Creating '/var/lib/pgsql/11/data/recovery.conf': Setting 192.168.0.91:5432 as master. 192.168.0.93:5432: Grant cluster members on the new node (for failover). Grant connect access for new host in cluster. 192.168.0.93:5432: Waiting until service starts. 192.168.0.93:5432: Registering host with host manager. 192.168.0.93:5432: Added host to cluster. From the job logs, we can see that since the cluster already has a master running (192.168.0.91), the new node will be deployed as a slave to the master. ClusterControl will then perform all necessary actions and prepare the new node as the given role accordingly. 192.168.0.92:5432: Promoting server to master. 192.168.0.92:5432: Current master is 192.168.0.91:5432. 192.168.0.91:5432: Stopping the current master. 192.168.0.92:5432: Waiting to become a master. Switching slaves to the new master. Running /usr/pgsql-11/bin/pg_rewind --target-pgdata=/var/lib/pgsql/11/data --source-server="host=192.168.0.92 port=5432 user=cmon password=***** dbname=postgres"
192.168.0.93:5432: Creating '/var/lib/pgsql/11/data/recovery.conf': Setting 192.168.0.92:5432 as master. 192.168.0.93:5432: The postgresql service was started. 192.168.0.93:5432: Restarted with new master. 192.168.0.91:5432: Creating '/var/lib/pgsql/11/data/recovery.conf': Setting 192.168.0.92:5432 as master. 192.168.0.91:5432: The postgresql service was started. 192.168.0.91:5432: Restarted with new master. 192.168.0.92:5432: promote finished (this is the new master). Successfully promoted a new master. The job messages show that ClusterControl will first discover the current topology and stop all nodes in the cluster. Then, it configures the new master and gets the other nodes to replicate from it. It will also attempt to run pg_rewind to re-synchronise the PGDATA of the downgraded master with a new base backup. At the end of the job, ClusterControl reports the current topology and the state of the promotion. coC- 1.7.1.2985   8 PostgreSQL 11 192.168.0.19 9500 Up and running. poS- 11.1         8 PostgreSQL 11 192.168.0.91 5432 Up and running. poM- 11.1         8 PostgreSQL 11 192.168.0.92 5432 Up and running. poS- 11.1         8 PostgreSQL 11 192.168.0.93 5432 Up and running. Take note that if the cluster has a lot of databases, this option might not show some of them. Sampling a huge number of databases would generate high load and so the controller has an upper limit built into it. 192.168.0.91:5432: Allowing connections from 192.168.0.15. 192.168.0.92:5432: Allowing connections from 192.168.0.15. 192.168.0.93:5432: Allowing connections from 192.168.0.15. Access for 'mysystem' to 'mysystem' granted. 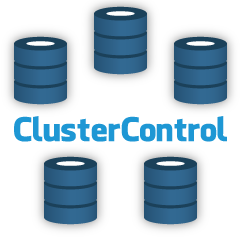 ClusterControl will perform the necessary actions to create the database and user account with proper privileges and allow it on all database nodes. pgdump - Alias to pg_dumpall, a utility for writing out all PostgreSQL databases of a cluster into one script file. pg_basebackup - A utility to create a full, file system-level backup of a PostgreSQL database. The --on-controller flag indicates that we would want the created backup to be stored under /storage/backups directory on the ClusterControl node. Omit the flag if you want to store it on the database node itself. The same command can be applied to create pg_basebackup backup. Just replace "pgdump" with "pg_basebackup" would do. The value of recurrence must be enclosed with quote and in crontab format. Stop slaves as restoring offline backup to master. 192.168.0.92:5432: Stopping node for restoring a base-backup. 192.168.0.92:5432: Backing up the current datadir. 192.168.0.92:5432: Starting node after restored a base-backup. You may now rebuild your slaves. Setting cluster to 'STARTING' state. Take note that for pg_basebackup's backup, the restore operation requires database downtime. All PostgreSQL nodes will be stopped prior to the restoration and the restoration takes place on the last known master. This master will be brought up first (followed by all slaves) after the restoration completes. Backup 9 was successfully verified. Install necessary softwares and dependencies on all PostgreSQL nodes. Stream and restore backup on the first node (with auto-restart flag). Configure and add the rest of the nodes. ClusterControl returns the output of OPTION NAME and VALUE accordingly. The GROUP column is not applicable in PostgreSQL thus you should see '-' value. 192.168.0.92:5432: Changed a read-only parameter. Node restart is required for change to take effect. You should see ClusterControl return the configuration modification status and advise the follow-up procedure to make sure the configuration change takes affect. You may then use the "s9s node --restart" command to restart the particular node. ClusterControl offers great flexibility when it comes to managing and monitoring your PostgreSQL database cluster. You have the choice of web UI, which is fairly simple and straightforward plus command line interface, which empowers you to achieve full database automation via scripting. Happy managing! Ashraf Sharif is System Support Engineer at Severalnines. He was previously involved in hosting world and LAMP stack, where he worked as principal consultant and head of support team and delivered clustering solutions for large websites in the South East Asia region. His professional interests are on system scalability and high availability. PHP 5 is deprecated since early this year, which may cause some concerns when running ClusterControl. This blog post shows you how to run ClusterControl on PHP 7. Restoring backups on newly deployed clusters can be time consuming. There are a number of procedures and checks to go through, and it is a task that lends itself to automation. This blog post shows you how to automate the entire process and deliver improvements in terms of speed, efficiency and cost. Migrating ClusterControl to new hardware used to be a pain - you had to reinstall it on the new server, restore configuration/metadata from the old one and redo database grants so the new server can access your managed databases. Not any more! Starting with 1.7.1, it is possible to backup the ClusterControl server in one command and restore it on a new server, with data, grants and all. This blog shows you how to do this using the s9s CLI.